Email alerts can be dispatched automatically when a significant error occurs. Only Full Administrators and Cluster Administrators can configure alerts. 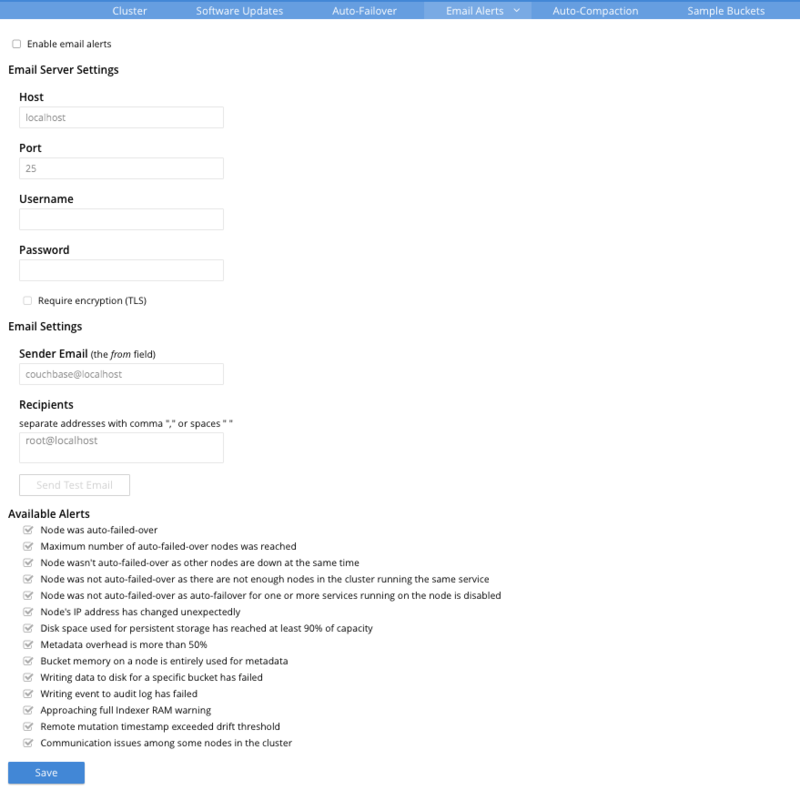 The email-alert system works by sending an email directly to a configured SMTP server. Each alert email is sent to the configured list of email recipients, to highlight specific issues and problems. Alerts are provided as a popup within Couchbase Web Console. You can define the settings using Couchbase Web Console, or using the REST API. To set up email alerts using Couchbase Web Console, first, select the Enable email alerts check box, to enable the email-alerts configuration. Then, enter appropriate data into the fields listed below. Only applicable to buckets configured for value-only ejection. See Ejection, for information.